Karloff's legendary performance has become a landmark in the annals of screen history. 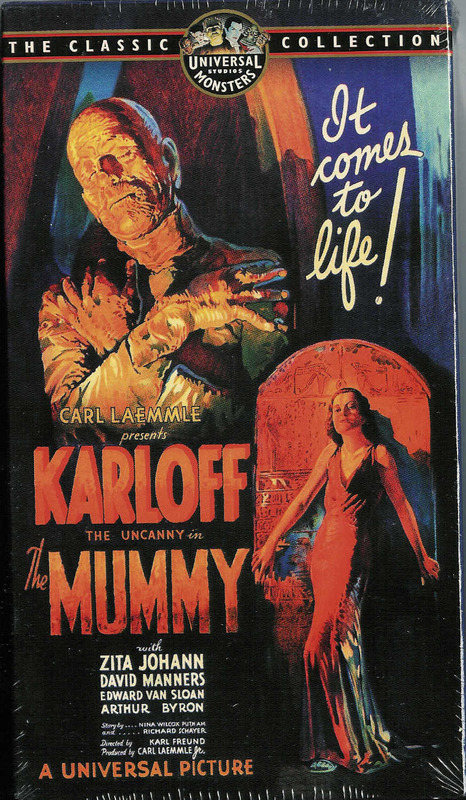 As the mummy, Im-Ho-Tep, he is accidentally revived after 3,700 years by a team of British archaeologists. It is revealed in a flashback that he was a high priest, embalmed alive for trying to revive the vestal virgin whom he loved, after she had been sacrificed. Alive again and dressed as a present-day Egyptian, he sets out to find his lost love. Today, more than 60 years after its release, this brooding dream-like film remains a masterpiece not only for the genre, but for all time. Bonus Materials include: Mummy Dearest A Horror Tradition Unearthed, an Original Documentary Theatrical Trailer, Feature Commentary and much more! Collector's note: Brand-new factory sealed. Cover artwork on VHS editions vary.